The eagleYcondor team is so excited to be continuing our work in Ecuador with our next Dogs of Otavalo spay/neuter/wellness campaign scheduled for January 10th-16th, 2018. Our amazing volunteer vets, techs and assistants are on board and ready to go. 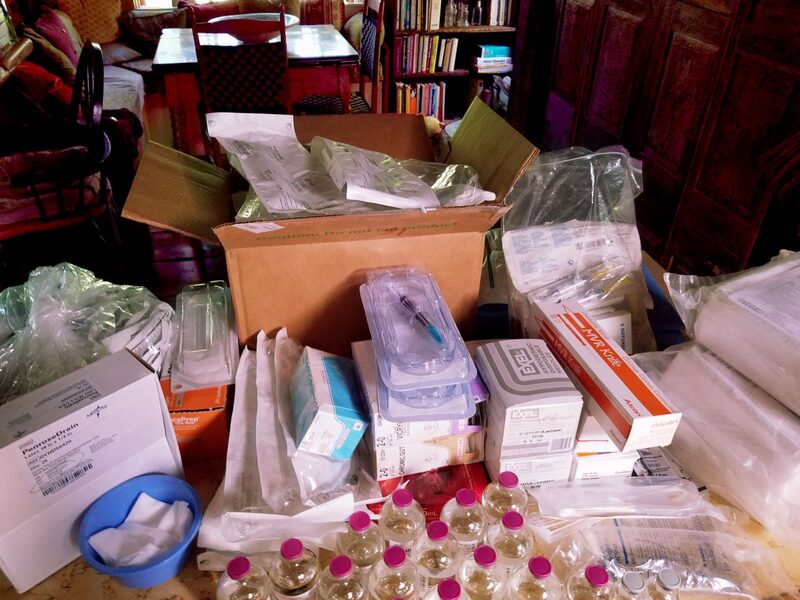 Now for the nearly impossible task of gathering all the medication and supplies we need and packing them for safe transport. We have already received some very generous donations but are hoping to put more check marks on our inventory sheet before we have purchase the rest. There is so much to think of since we are using a virtually empty concrete building. Our past experience has taught us much about what is needed to turn it into a veterinary hospital that can neuter and care for over 300 animals in a week. Duct tape, Duct tape, Duct tape! We seriously take everything we need with us. From donated yoga mats for the recovery room floor, socks and rice (no plug in heating pads possible) to all of the surgery supplies, medications, vaccines, parasite control and on and on. Don’t forget the sharpie markers or water bowls please! All of this will be brought in 50 lb. suitcases by our volunteers. Last campaign we carried over 3,000 lbs. of stuff! Of course that included our anesthesia machine which thankfully we don’t have to repeat. It is a daunting task and one I never would have believed possible if I didn’t see it with my own eyes.